The University of Rhode Island may have a new guard for its animal herd after a baby donkey was unexpectedly born. 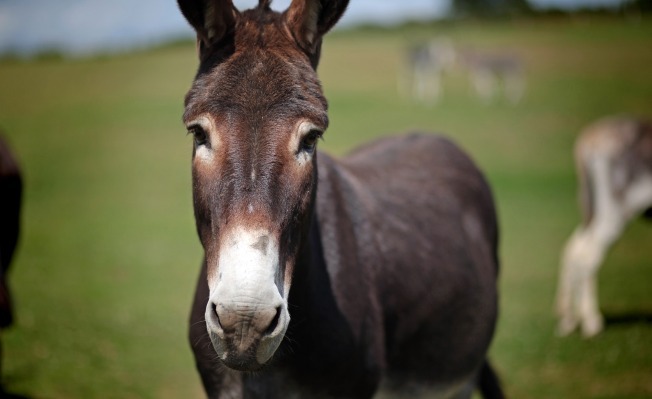 Jenny, one of two guard donkeys at the university, gave birth to the foal Sunday at the university's Peckham Farm. URI senior Kathryn Voelkner says she saw the baby take her first steps after finding her while feeding the two donkeys. The birth came as a surprise, since both older donkeys are female.